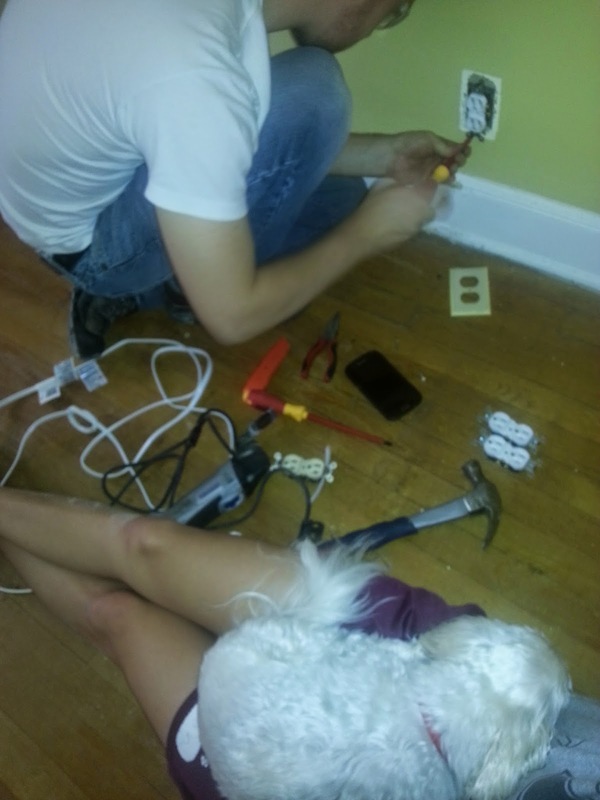 Electrical outlets are something that is easily taken for granted in a house and boy did we learn that the hard way... When I say we re-ran electrical wire in our entire house, I literally mean we re-ran electrical wire to EVERY single room in our ENTIRE house. 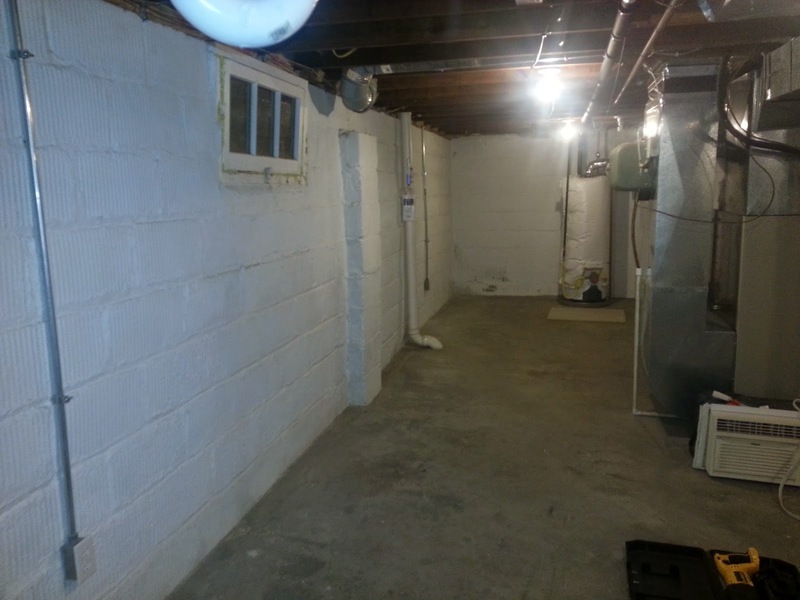 Now onto the basement which is not so pretty of pictures (prettier pictures are below in this post in Main House Electrical & Networking and Cable). 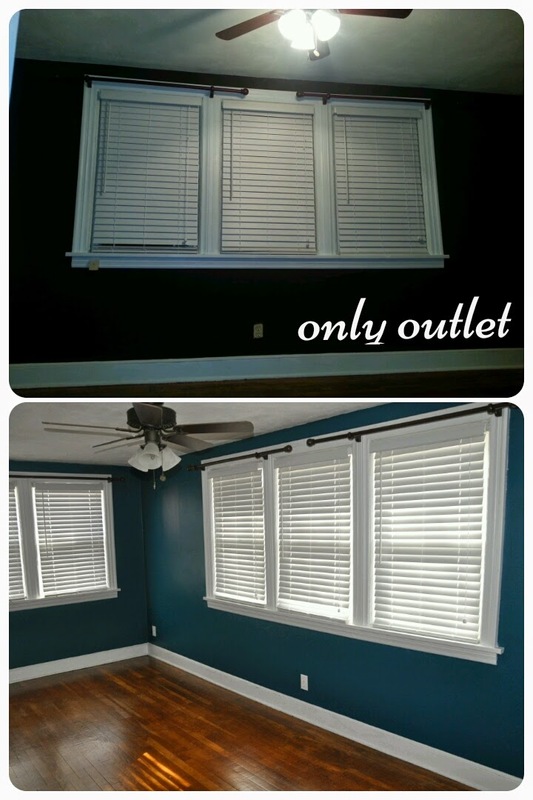 When we first moved in to our house, we literally had 1 outlet in our basement (for the washer and dryer) and 1 main light. The rest of the lights were on pull strings, also known as keyed fixtures. This is the case in many basements, a main light and some pull strings. 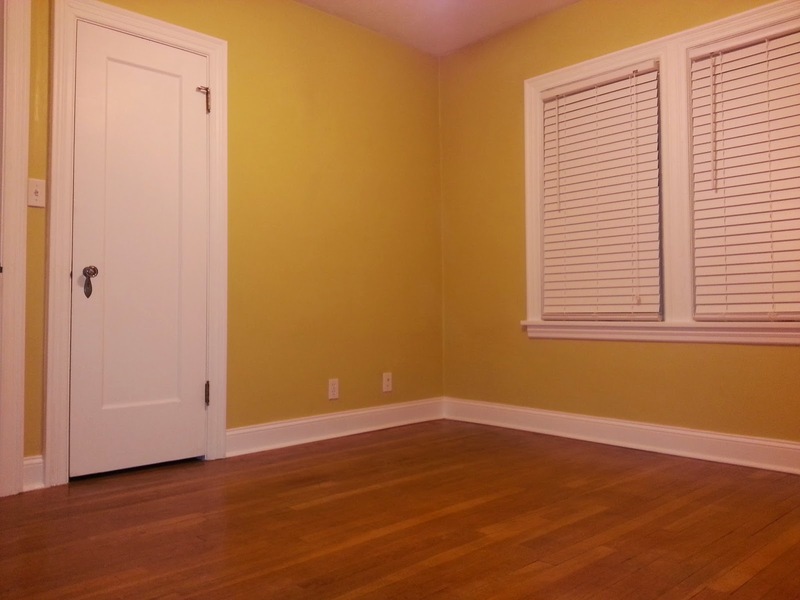 However, we wanted to have the whole basement light up with the flip of one switch since the basement has a lower ceiling which does not allow light to distribute very well. So, we needed lots of lights!! 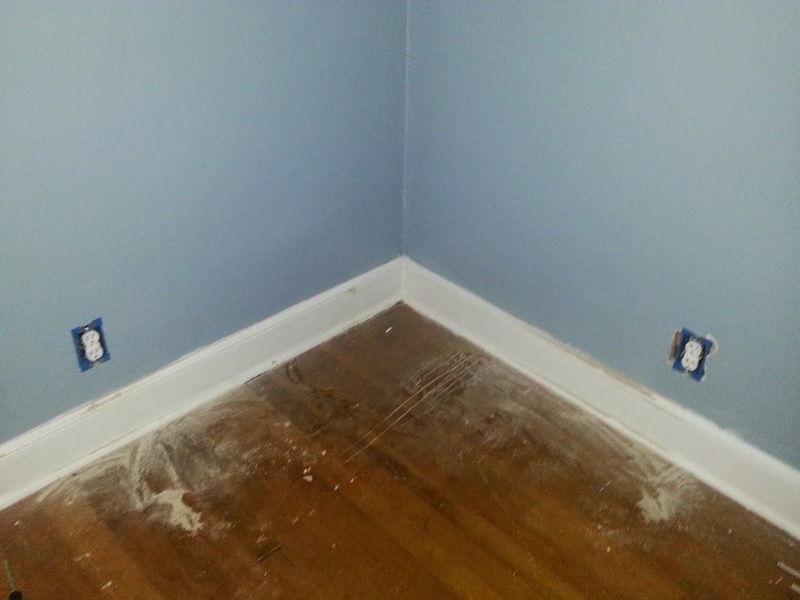 But, we tackled the outlets problem first because it's easier to run temporary lighting from permanent outlets than it is to run temporary power from a well lit place. 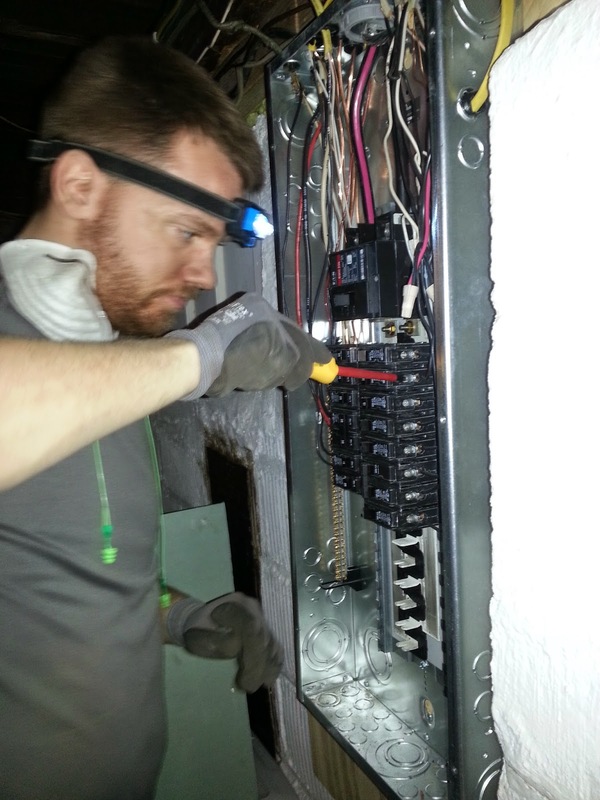 We are very confident in our abilities to run power and add/remove breakers from our 200 Amp service electrical panel, however, we do not recommend that others do this since electricity can be very dangerous. This picture of Matt is a very common site in the Mullens Home household. He even has Wiha insulated screwdrivers! 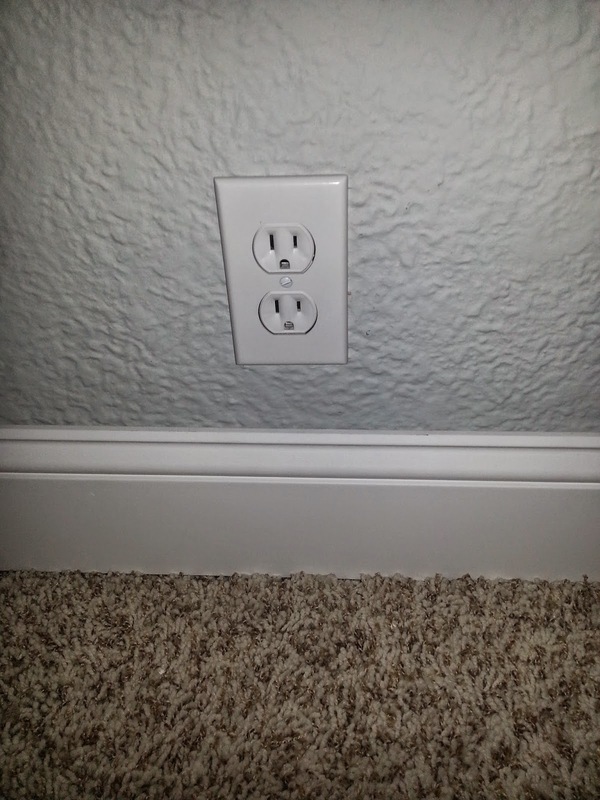 Since we were working in an exposed basement, we had to run all Romex inside conduit for the outlets on the walls as seen below. Fish wire became our best friend throughout this whole process. It may be a little hard to see but we had proper clamps and grommets for the conduit. 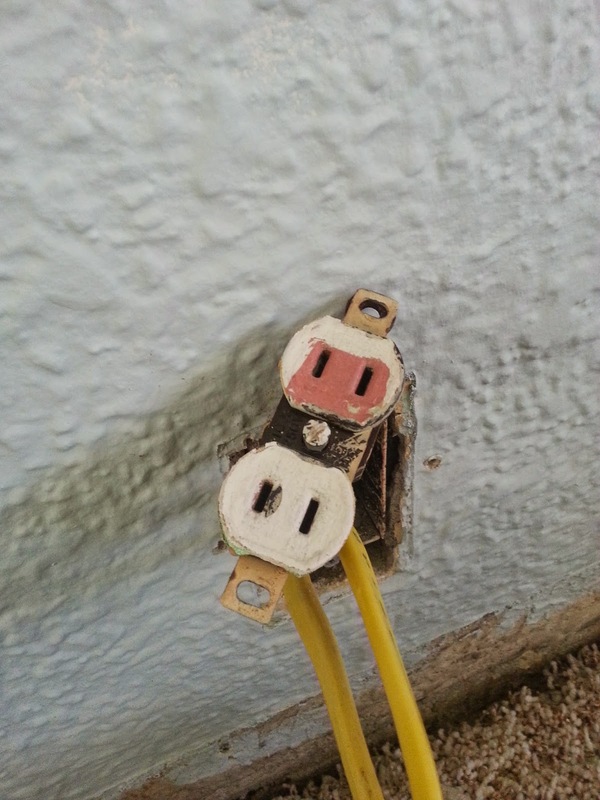 We also always use a GFCI Receptacle Tester. Finally, when dealing with power the easiest way to detect which breaker to turn off (instead of trying each breaker and using a hot pen) since we did not have properly labeled breakers was to use a Digital Circuit Breaker Finder. All these Klein tools can be found at Home Depot or your local hardware store. Additionally, there was some old wire that was improperly just nailed to the side of a wall in the stairwell. We properly re-ran Romex wire in conduit since we could not get in between the wall in this particular situation. 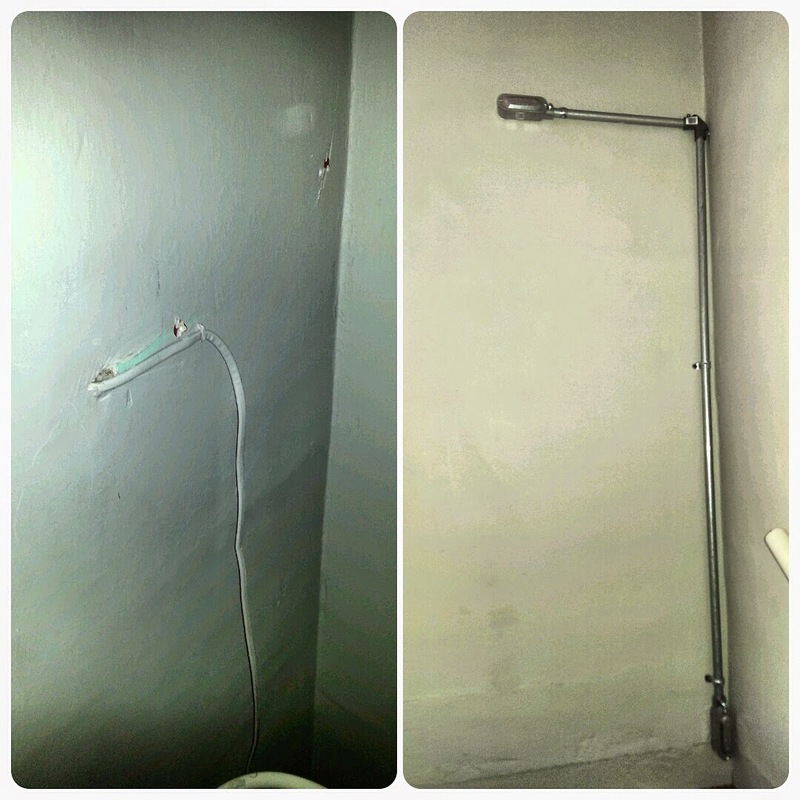 Now that we had plenty of plugs in the basement to power our work, we moved onto the lighting problem! There are tables you can look up to see how often you should place fixtures (and outlets), but for the most part we just put lighting where we deemed necessary since we were adding more than minimum code in our basement, anyway. 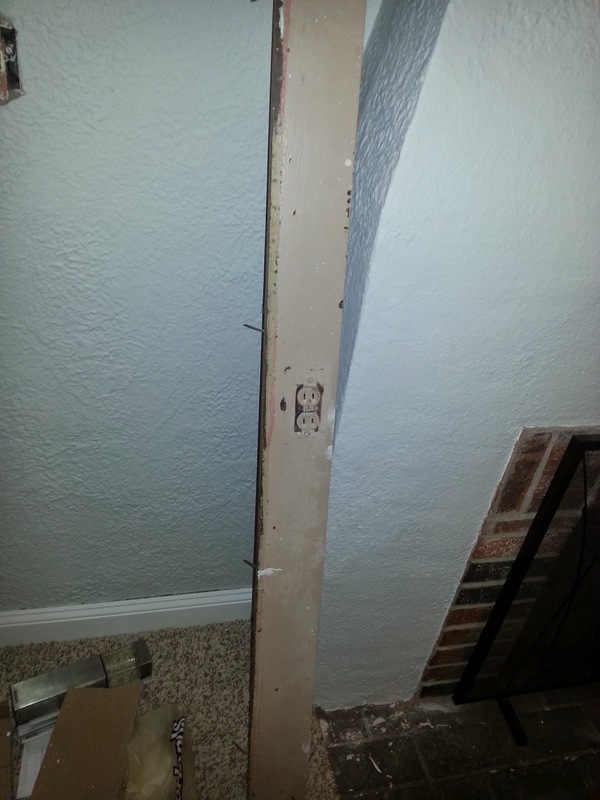 The most tedious part about running electrical (for outlets or light fixtures) is drilling all the holes in the joists. 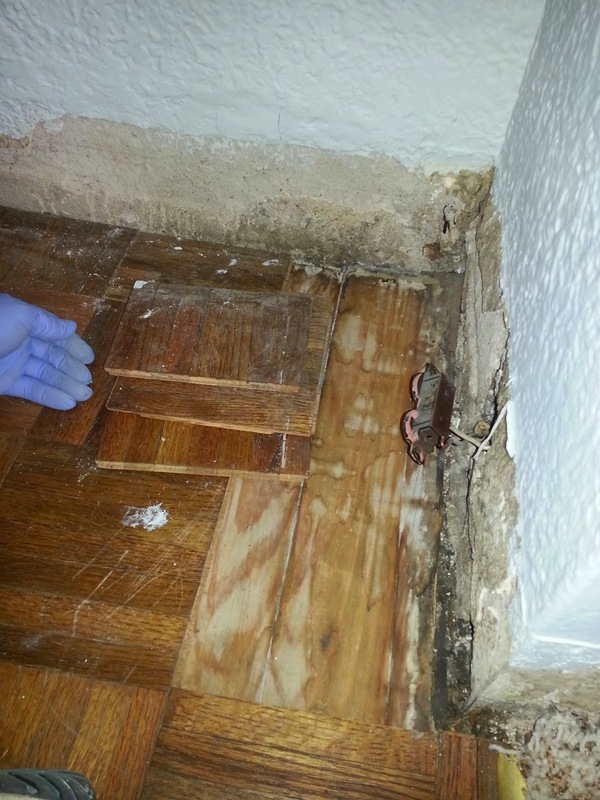 Once that messy job is done, it is not too difficult to run more Romex through them. 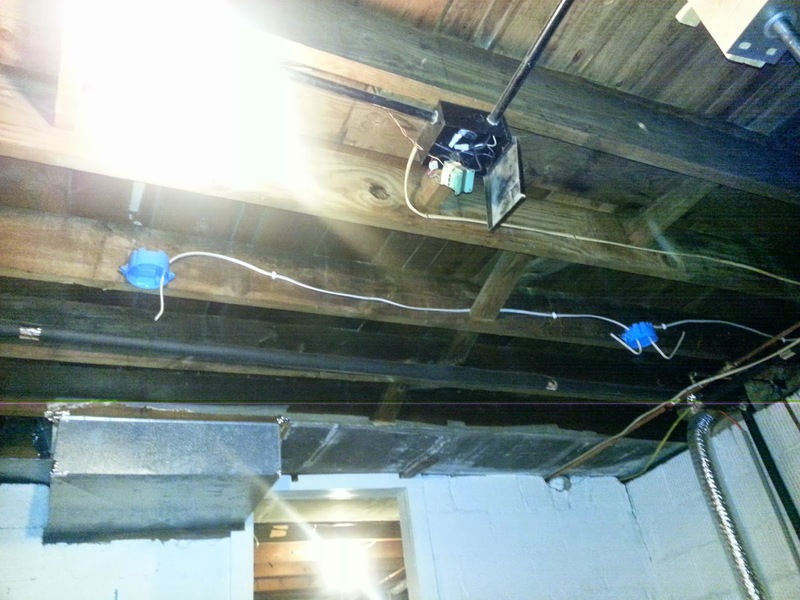 Mostly, it was easier to rip out any old wire for the lights and just add new circuits/wire for our new lights than deal with all the issues that was left by the previous person who wired our basement. 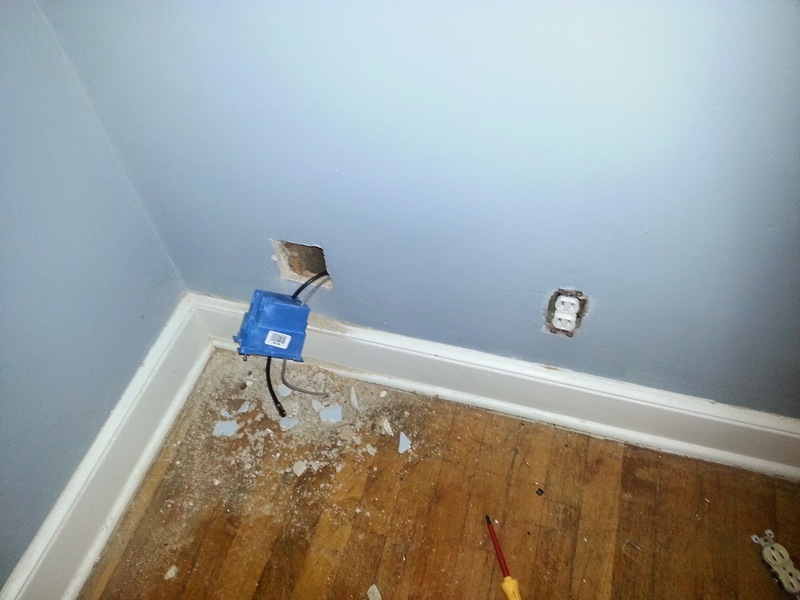 Newly ran wire can be seen in the proper electrical boxes before we hooked up the lighting below. 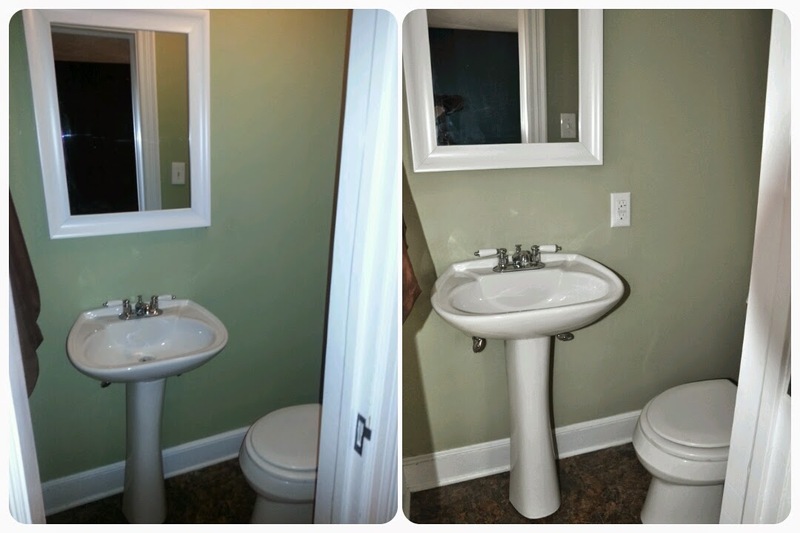 After putting all the lights in and connected to one switch at the top of the stairs, we still left in place 2 pull fixtures. One over by the sump pump, in case I ever needed to work on it, and another over a small workbench area. I will only show one picture of all new lights in our basement, since this basement lighting isn't the prettiest even though it makes me super happy . Lighting wasn't an issue in the rest of our house but power outlets were a huge issue. 2. 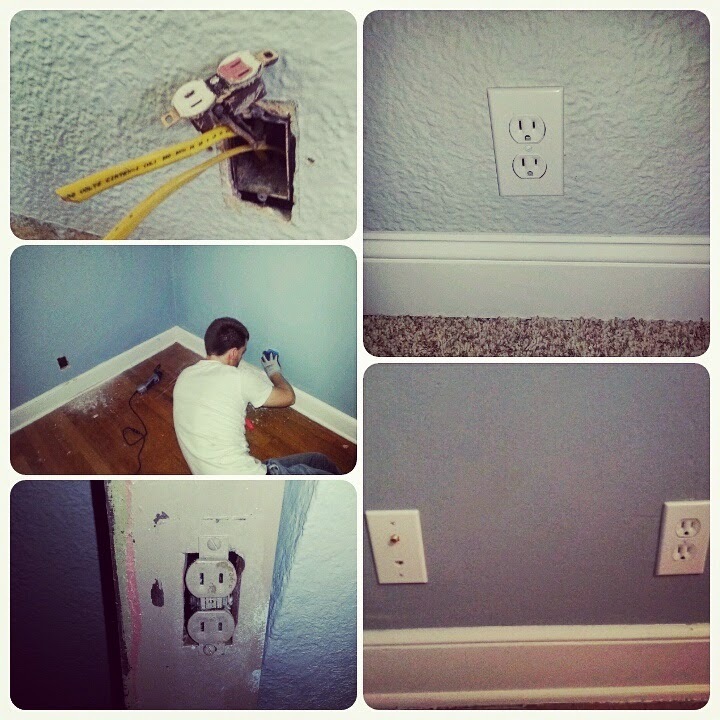 The outlets we did have were two pronged outlets (having 2 to 3 prong converters everywhere is a real pain). 3. 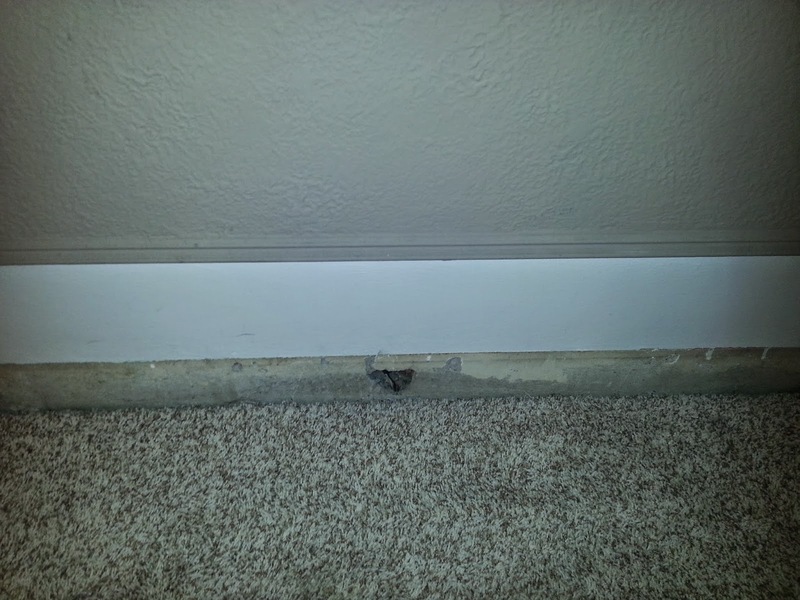 Several plugs were retrofit into baseboards without proper boxes which is dangerous (and looks bad). With electrical stuff it is kind of difficult to show how to do everything so the rest will mostly show pictures. 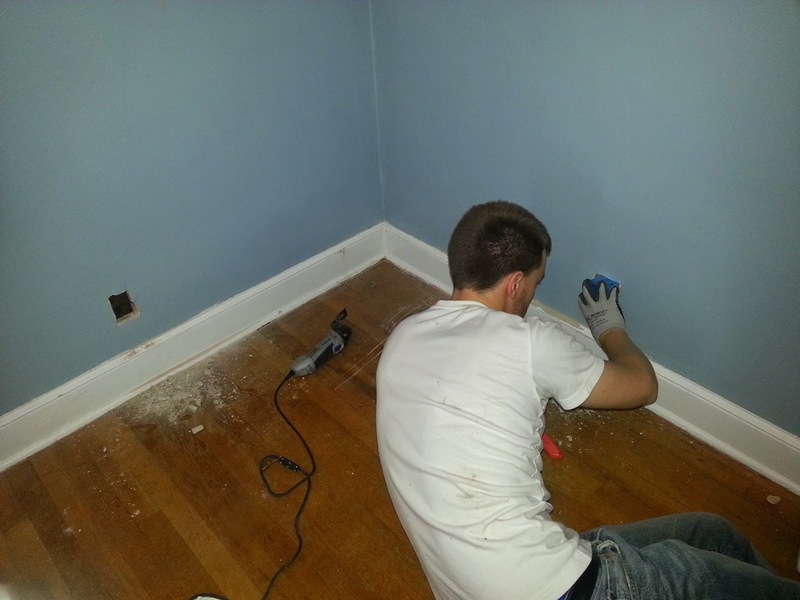 Matt also installed Networking and Cable throughout the whole house which means internet can easily be hard wired to every TV in every room which is much faster than wireless. 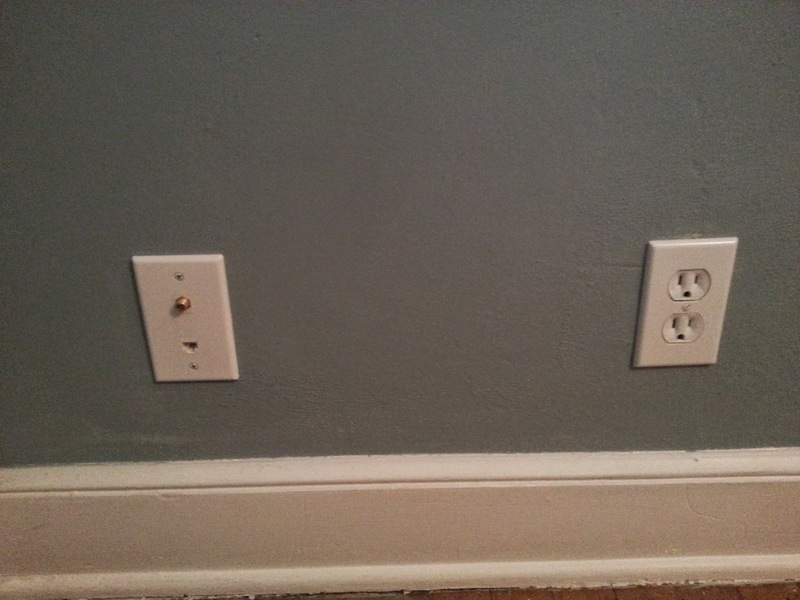 The left box below is one example of his beautiful networking and cable installation throughout the house.